Greetings & Salutations! June is here!!! The meeting is Wednesday, June 21, 2017!!! Come out and support your neighborhood association! 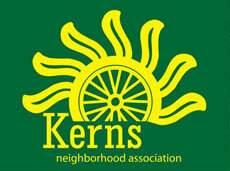 Join the Kerns Neighborhood Association Board and let your voice be heard! Meetings are scheduled for 6:00 pm and are held at: Pacific Crest Community School 116 NE 29th Ave. Portland, Oregon 97232 See you there!!! Enjoy the Summer events, festivals, concerts and all Portland has to offer! Check out Kerns classifieds, crime & safety, events, news, events, general, lost & found, recommendations in Outer Kerns! Wednesday, June 21st, 2017 at 6 p.m. - 8 p.m. 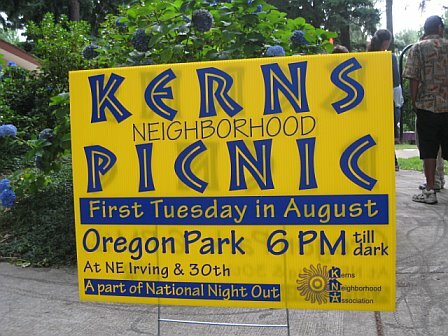 Enjoy our beautiful Kerns neighborhood! Greet and meet your neighbors! Meetings are scheduled for 6:00 pm and are held at: Pacific Crest Community School 116 NE 29th Ave. Portland, Oregon 97232 Meet your neighbors!!! Topics for next month may be added by May 5th. Please contact kernsna@gmail.com if you'd like to request time on the agenda. Josie Booth, Steve Engel, Annie Eustis, Jay Harris, Jim Kautz, David Kirchfeld, Angela Kirkman, Elliot Mental, Mike Petticord and Steve Russell. Please consider sending a similar letter to Mayor Wheeler (MayorWheeler@portlandoregon.gov) and Commissioner Amanda Fritz (amanda@portlandoregon.gov). Better known as the Kern's Picnic. We will have live music, bbq, games and a raffle for prizes donated from local businesses. When: Tuesday, August 1, 2017 Where: Oregon Park (NE 30th Ave. & NE Oregon St). Share your opinions about tree planting in this short survey that closes June 30th. Help to ensure all residents have access to trees. The tree canopy in Portland should not be prohibitive because of cost to it's lower income residents. See Graffiti? Abandoned Car? Potholes? The app lets you quickly identify the issue with a description, photo and its location. Then submit and your report will be sent to the City of Portland. You can even track the results of issues you report. You'll need to set up an account before submitting your first report. A scenic double loop that takes a trip to the Willamette Boulevard and over to Peninsula Rose Garden, Arbor Lodge, Kenton, and McCoy Parks. Enjoy good food, good laughs and good music! Stop by Woodlawn, Alberta, and Fernhill Parks enjoy fun activities, festive music and delicious food. Visit the Bi-lingual Bike Fair held in Khunamokwst Park in collaboration with the Andando en Bicicletas en Cully (ABC) Group. This route will take you to Knott, Thompson, East Holladay and Hazelwood Hydro Parks. These new parks will have music, food and fun finds. This route explores marketplace locations: Westmoreland, Sellwood, and Water Tower Parks, along with the Milwaukie Farmers Market and Milwaukie Business District. 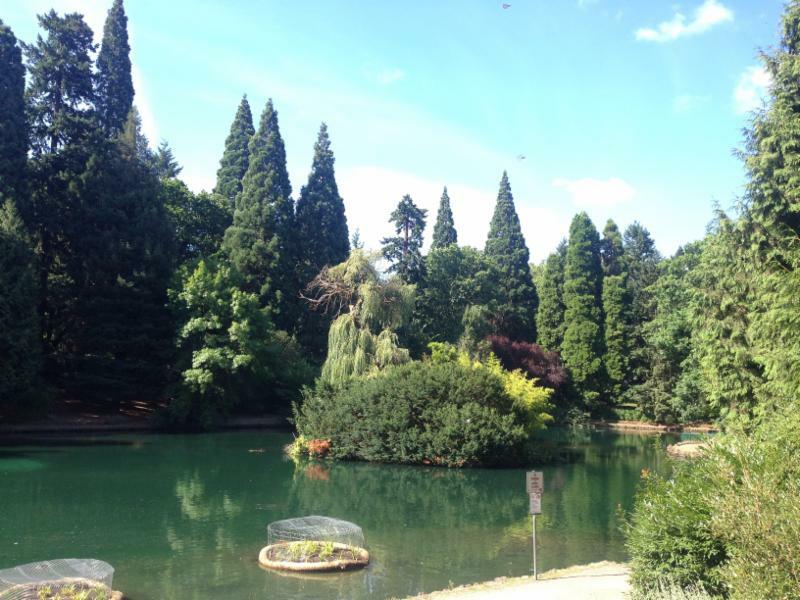 Friends of Laurelhurst Park contribute to the health and beauty of Laurelhurst Park. This upcoming work parties are 9:00 to noon on the second Wednesday of each month through October. Those who wish to participate may mark their calendars for June 14, July 12, August 9, September 13 And October 11. Three remaining Saturday dates include Sept 23 and Oct 28, from 9 to noon. Questions or concerns may be addressed to Peggy Glascock (503-232-2406) or Barry Kast (503-477-7469). The City of Portland Bureau of Planning and Sustainability's food program connects you to over 100 Community Supported Agriculture (CSA) neighborhood drop-off points and 21 farmers markets. Interested in getting fresh food from local farmers delivered right to your door? Our interactive map can help you locate convenient CSA drop points in your neighborhood, connect you with a regional farmer and pick your own produce. Portland also boasts dozens of farmers markets all over the city. Check out our farmers market map to find one near you. The Development Services Center will be open Thursday nights from 5:00 pm - 7:30 pm to help inform homeowners and tenants about permit requirements for 1 & 2 family dwellings. The most popular expressions of Norwegian culture is Scandinavian folk dancing and Sons of Norway would like to share it with you!!! On Tuesday evenings, historic Norse Hall, 111 NE 11th Avenue, comes alive with folk dancing, starting at 7:00 p.m. Adults wanting to learn more or to RSVP should call 503-250-2299 or 503-901-2584 and families whose kids want to learn should contact David at 971-284-4175 or norseherodotus@hotmail.com. The lodge will also host a workshop for kids on Tuesday, May 2nd, please contact David if you are interested. Summer Cultural Exchange for Kerns Families!!! Host a student from France, Spain, or Japan for 2 - 4 weeks in July, August, or September and build connections across the world through friendship! While others will be immersed in their host families' daily lives and will not have any scheduled program obligations. Students bring their own spending money and are covered by comprehensive medical and accident insurance. 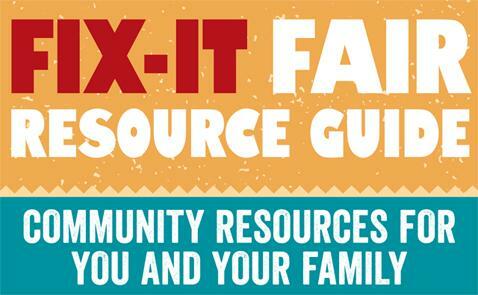 Families receive orientation materials, 24/7 support, and a small hosting stipend. or contact Kayla Frost at kayla@andeo.info or 503-274-1776.